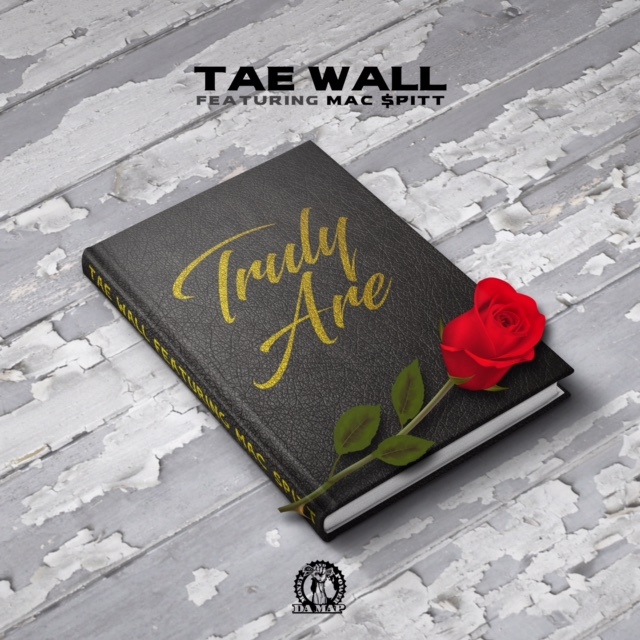 Tuesday, July 18, Tae Wall released his new single, “Truly Are,” on all digital media sites. This is the first single off his upcoming untitled project. The single features Mac $pitt, his fellow Da Map artist, and is produced by KP Bangs. A Cleveland-based unsigned artist, rapper Tae Wall was introduced to the world of Hip Hop at an early age thanks to his brother Donald Wallace, also known as N.O.M.A.D. Initially, Tae Wall was a songwriter and producer. Learning how to develop and make beats more efficiently gave him the push to make complete songs. Tae became one-third of a rap group while in high school but branched off and became an independent artist, managed by his brother. Tae’s first couple of mixtapes were written and produced by himself. Influences such as his older brother have played major role in his career right along with other artist like Lil Wayne, Bone, TI, and Currency just to name a few. Tae Wall has been working hard to make a name for himself in his hometown by participating in contests such as Jack’N for Beats sponsored by Jack Daniels and Z107.9, Cleveland’s hip hop radio station. In addition, he has done shows in Cleveland, Detroit, Atlanta, and New York. Being a rapper/producer/entertainer, he is a triple threat. Tae’s untitled project is slated to drop late 2017 or early 2018. The feedback from the track so far has been great, the track promises to be a summer favorite. Recent features include The Grynd Report, Hip Hop and Hype and More Than Hip Hop. The video for the single will be released in early September 2017. Tae Wall will be performing Sept. 9 at the “Bring Da Peace” Back 2 School Block Party at the Alexander Hamilton Rec Field, 13200 Kinsman Rd, Cleveland, OH 44120 from 12p-8p.